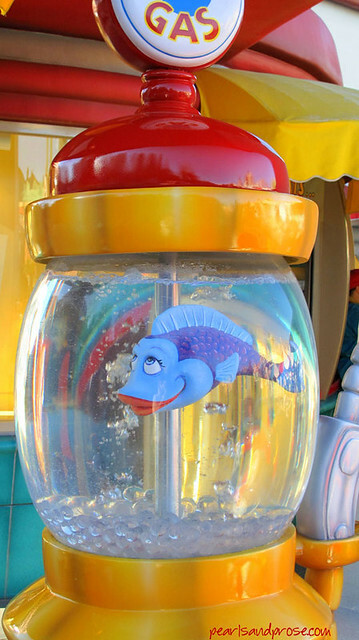 We went to Disneyland a while back and I took these shots in Mickey’s Toontown. Yes, I’m an adult, but I love Disneyland. I went the first time when I was around nine years old and it was probably the best day of my childhood. That stays with you forever. 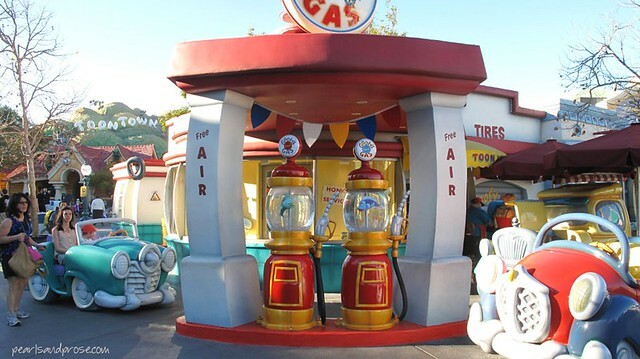 Anyhoo, here is the Goofy’s Gas Station…. 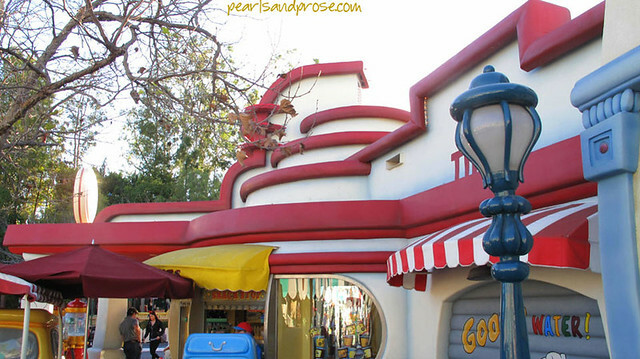 This part of the park was inspired by “Toontown” in the film Who Framed Roger Rabbit and resembles a set from a Max Fleischer cartoon. Fleischer was the creator of Betty Boop, Popeye and Superman(!) Ironically, he was a rival of Walt Disney. According to Wiki, Fleischer patented a 3-D background effect called “The Stereoptical Process,” a precursor to Disney’s Multiplane. This technique replaced the usual flat-plane with a circular 3-D scale-model background–a diorama–in front of which the action cels were positioned and photographed. I love the cartoon quality and the bright colors. 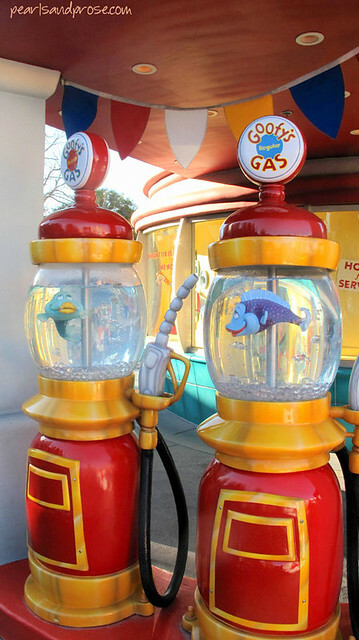 This entry was posted in photography and tagged Disneyland, Goofy's Gas Station, Mickey's Toontown. Bookmark the permalink. What a lot of fun. I love it. I’ve not even been to Disneyland Paris but I know I’d love it. It is so much fun, Caroline, especially in the off season when it’s not so crowded. 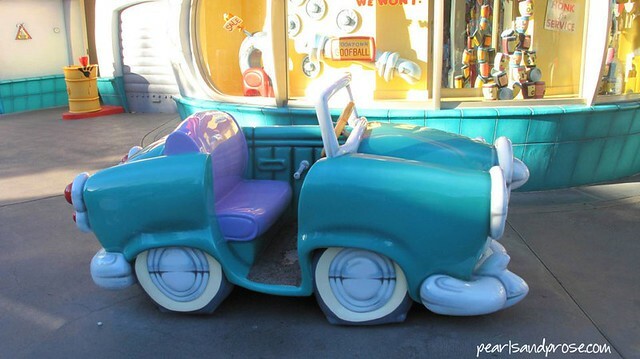 Aww, Toontown! I love the movie Who Framed Roger Rabbit. 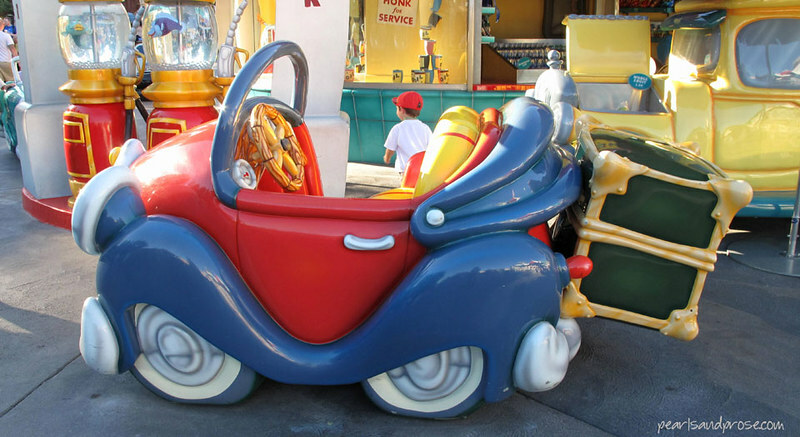 The curved lines (nothing is sharp in Toontown!) and the bright colors are so much fun. Me too, Jackie. Have to watch it again soon!